I was a little doubtful when I was putting the creamy chicken lasagna recipe together but my goodness was it delicious. I changed it a little for my tastes and it was such a delicious dinner! You know a recipe is good if it’s going to become a regular around here. This new spin on lasagna has made it into my menu for this week because we loved it! 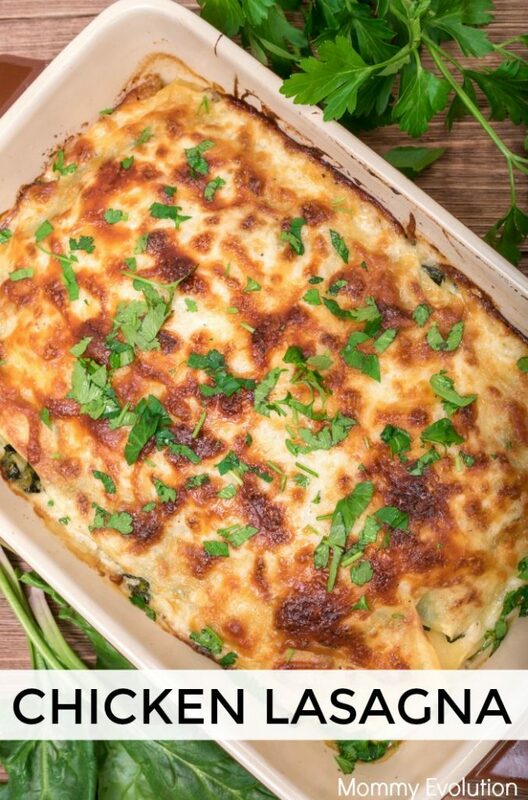 This creamy chicken lasagna recipe was such a great twist on lasagna that came out so creamy and delicious. We loved it and will be enjoying it again this week, I can’t wait! Thanks to Emily of Love, Pasta and a Tool Belt for being my guest blogger this week. Emily loves to scrapbook, take pictures, watch shows, read and eat pasta – lots of pasta. You can read more on Love, Pasta and a Tool Belt. thanks for sharing. 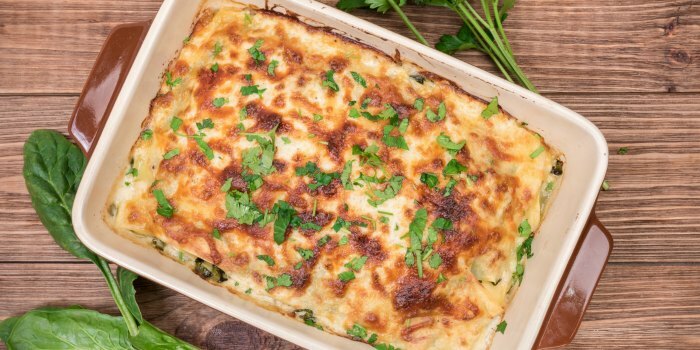 I love cooking with chicken, and it’s a big thing in our household, BUT I have never put it in a lasagna…I will have to try that now. really looks yummy. 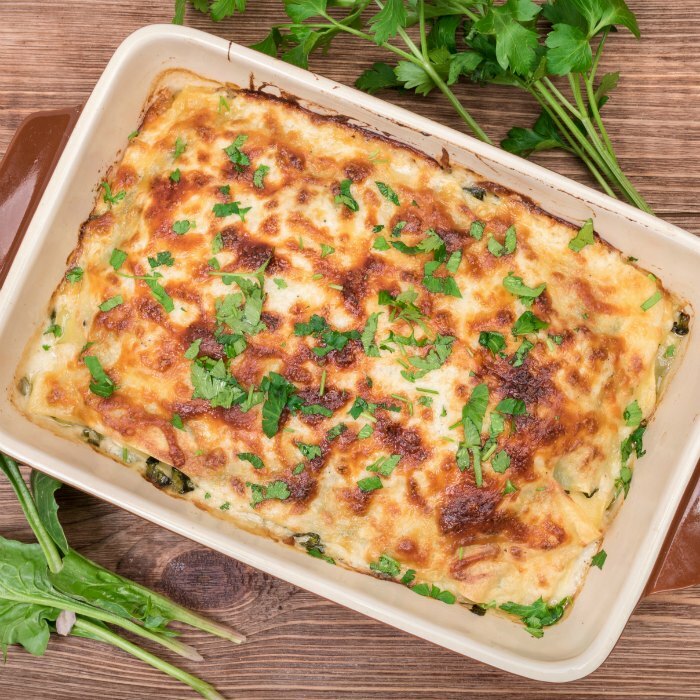 Lasagna is one of the staples in our house, so finding different recipes helps to give variety. just popping over from the Sweet Bella Roos Pin IT Link Party. I have pinned, liked and tweeted, and g+-ed. I would love it if you would drop by my site at http://www.kneadedcreations.com for a short visit! I will look forward to seeing you there! Deb @ Kneaded Creations. I love lasagne of any description! Looks delicious! Thanks for sharing at Share Your Stuff Tuesdays at http://ihearthandson.blogspot.ca/2013/11/share-your-stuff-tuesdays-21.html. Have a great day! Hmmm – my weekend smells like lasagna! I can’t wait to try this! Stoping by from the PINcentive blog hop. Getting ready to pin.